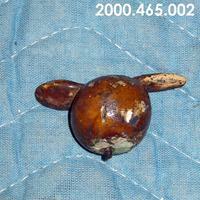 Small plaster apple with a brown shellac coating. There is a pin in the bottom to attach to the hand of Eve. 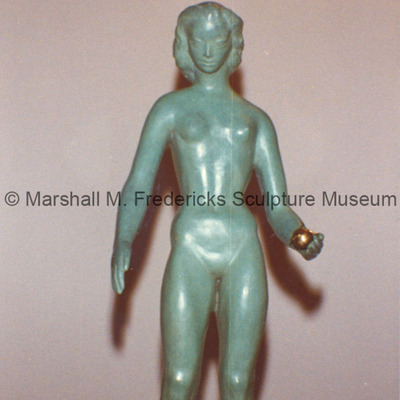 Bronze figure of "Eve" holding an apple. Study for "Two Sisters (Mother and Child)," gilt bronze, 19 inches. Awarded the David B. Werbe Purchase Prize at the 1946 "Annual Exhibition for Michigan Artists," Detroit Institute of Arts.